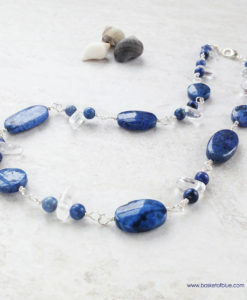 Blue Lapis Necklace, great everyday denim blue bead necklace. 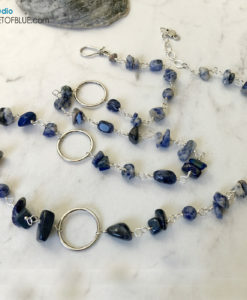 Lapis lazuli and pewter beads for an antique silver look. 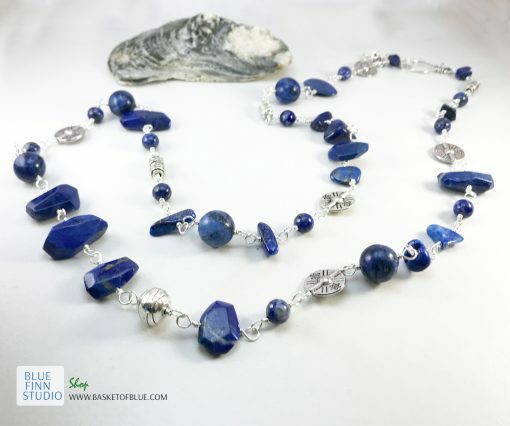 You get so much Lapis Lazuli in this necklace! 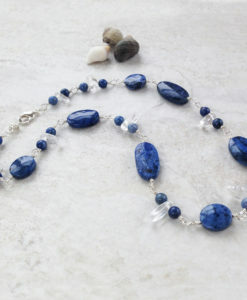 It has a substantial feel to it, and has a great variation of Lapis beads. 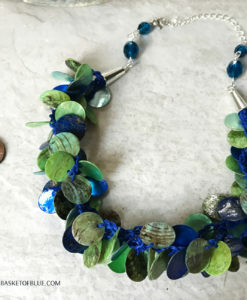 This long blue bead necklace is perfect for your everyday outfit, the beads have a beautiful detail and color variation patterns, some with the sought after specs of golden. 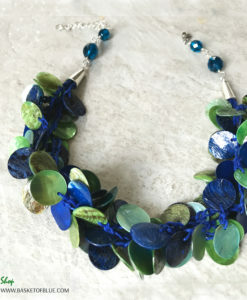 Love blue? Just the perfect color! Pewter hook clasp. 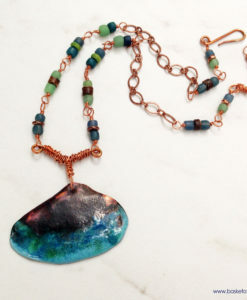 Electroplated chain section in the back for adjusting the length. 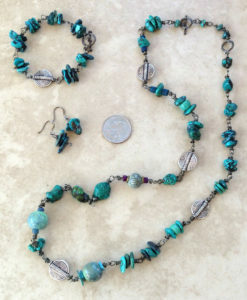 Beads are individually wire wrapped with silver plated copper core wire. 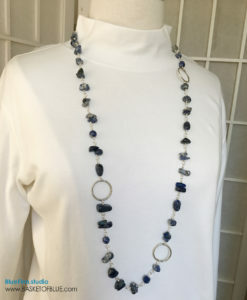 Blue Lapis Necklace, with pewter beads for nice antique silver enhancement. 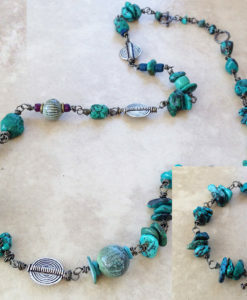 This long blue bead necklace is perfect for your everyday outfit, the beads have a beautiful detail and color variation patterns, some with the sought after specs of golden. 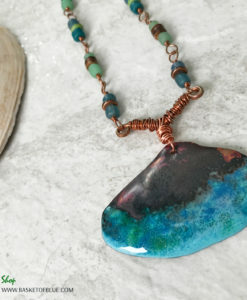 Love blue? 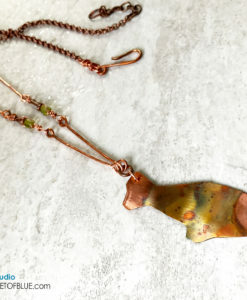 Just the perfect color! 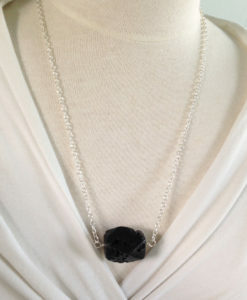 Pewter hook clasp. 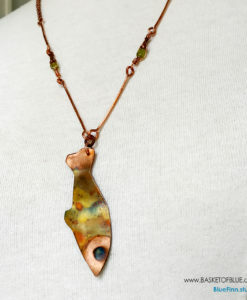 Electroplated chain section in the back for adjusting the length. 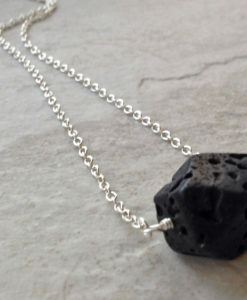 Great casual everyday blue stone necklace. 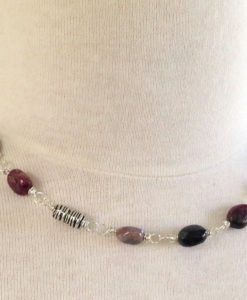 Beads are individually wire wrapped with silver plated copper core wire.